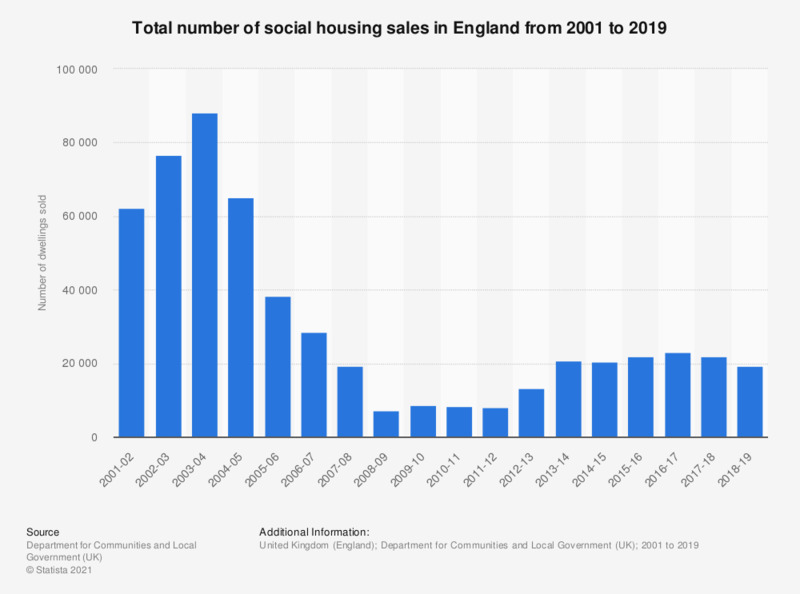 This statistic shows the amount of social housings sold in England from 2001 to 2018. The total number of sales includes sales from the local authorities and registered providers. Between 2017 and 2018, nearly 20.9 thousand dwellings were sold in the social housing market in England. Do you ever buy second-hand products from private individuals?